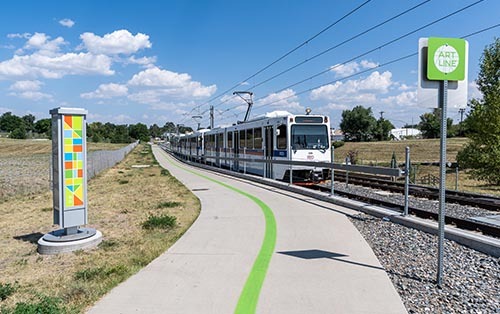 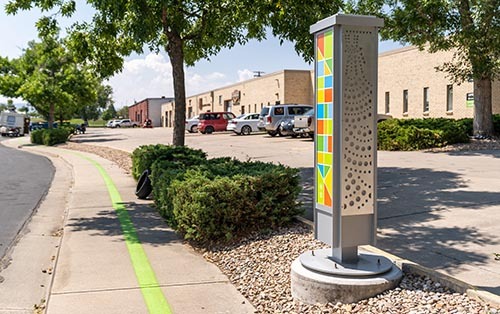 "I created the ArtLine Story Totems to meet many elements of the community vision for the project. 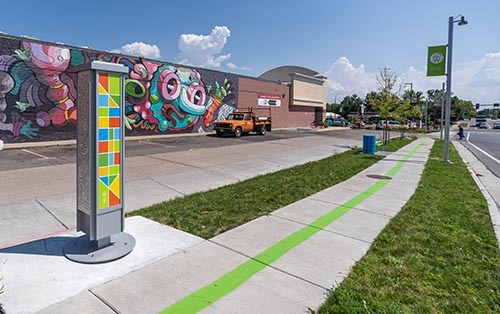 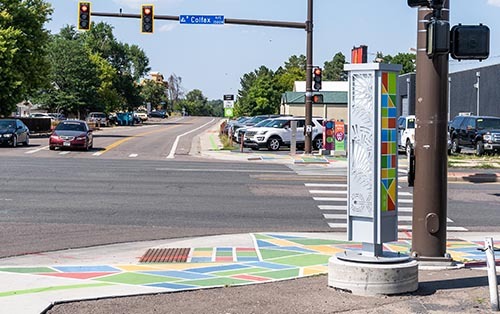 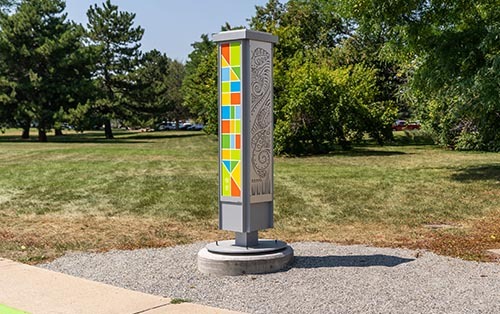 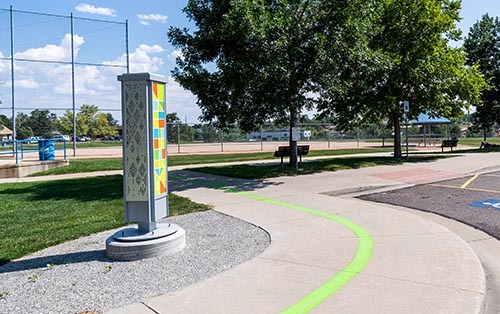 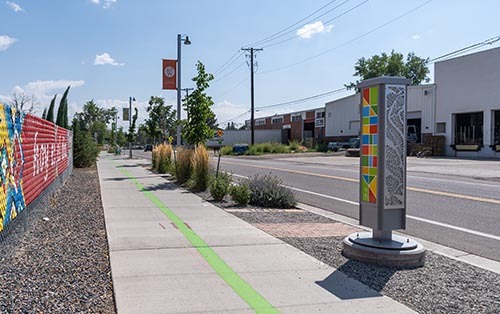 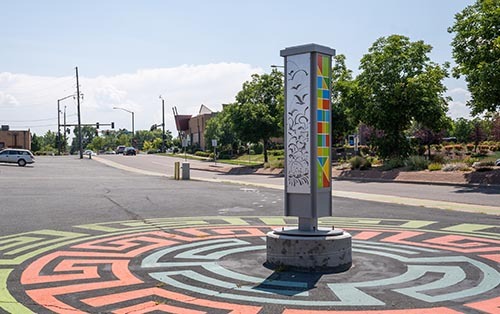 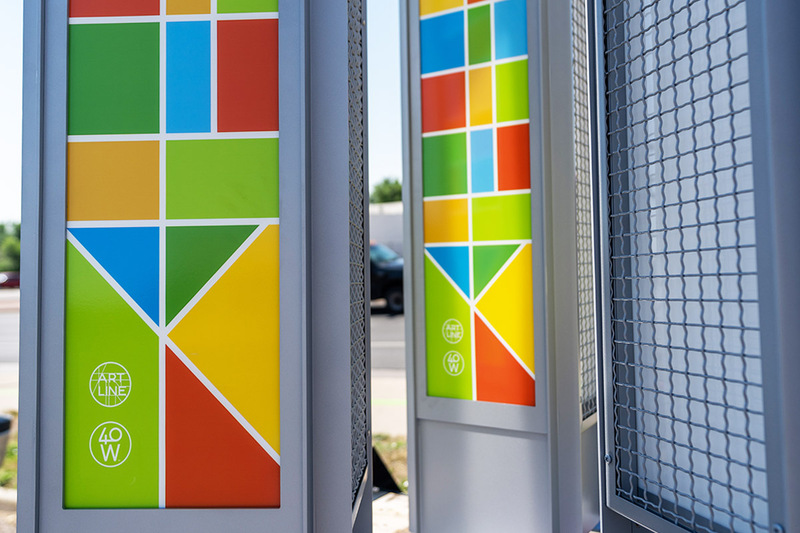 The totems incorporate the ArtLine brand, provide for interchangeable art panels, and incorporate lighting with an integrated solar panel for nighttime interest. 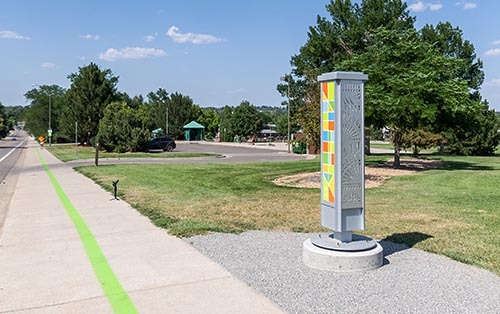 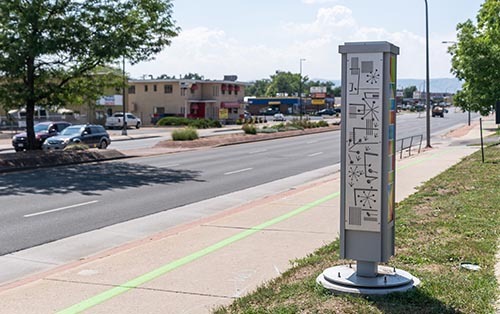 The outcome is 11 artistically beautiful ArtLine Story Totem elements placed along the route. 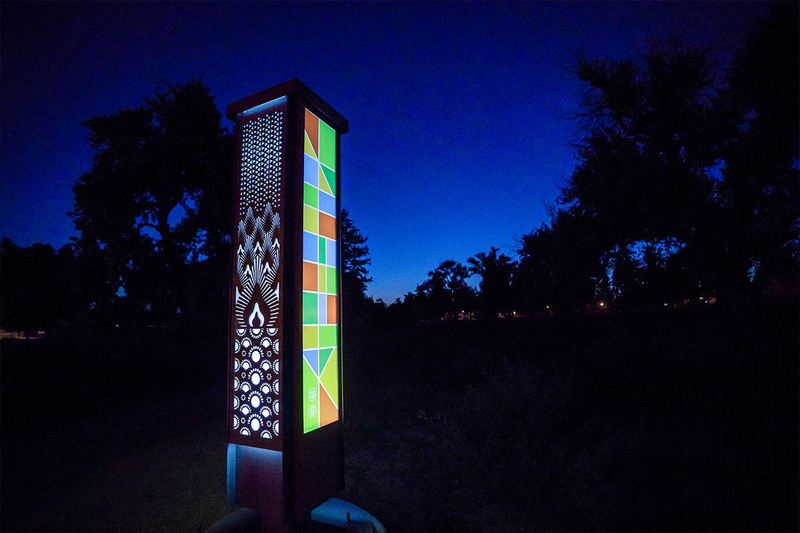 The totems are also functional in providing direction, information, light, beauty and interest along the ArtLine. 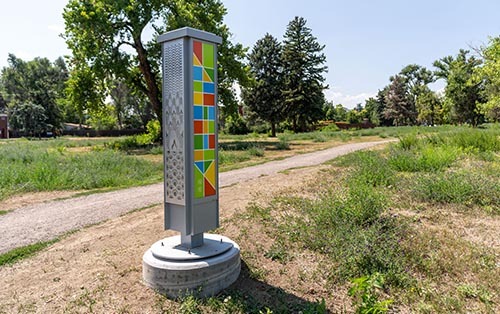 Look for new Art Panels to be installed periodically in the future!"